A press release issued by the Prime Minister’s office said that it has asked the office of the Anti Corruption Commission (ACC) to investigate policy corruption against a former minister, Yeshey Zimba. The case pertains to Nu 76.88 mn worth of fiscal incentives received by Hotel Le Meridien in Thimphu in which the minister’s daughter is an owner and partner. The incentives were accounced on 17th April 2013 three days before the government dissolved on 20th April 2013. 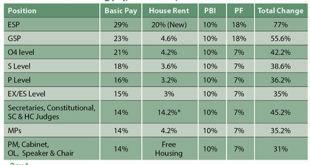 The governments said fiscal incentives (FI) was used to boost economic investments, from time to time. However, such practice was put to an end in May 2017 when the present Government decided to table FI as money bill before Parliament. The well established standard practice before May 2017 was to first identify potential areas of economic growth, determine revenue implications by Department of Revenue and Customs, put up final FI proposal to the Lhengye Zhungtshog for its approval, report to the National Assembly and then declare the duly approved FI through public notification for enforcement. 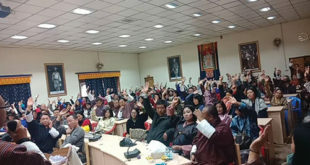 In addition to existing fiscal incentives that were in force since 2010, the DPT Government had approved an additional fiscal incentive titled as “Revised List of Incentives for Tourist Standard Hotels-April 2013” at its 156th Session of the Lhengye Zhungtshog with enforcement tenure till 31st December 2015. There was no Parliament to be reported to by then and, just three days before the Government was dissolved on 20th April 2013, the newly devised additional fiscal incentive was declared on 17th of April 2013 for its enforcement. The release points out that MOWHS Minster, Lyonpo Yeshey Zimba, was a member of the Lhengye Zhungtsog and he often officiated for the Prime Minister in his absence. It says Lyonpo Yeshey Zimba’s daughter is the owner (partner) of an FDI incorporated hotel venture in Thimphu town called M/s Bhutan Hotel Ltd. (now operated as Le Meridien) which was under active construction at the time of approving the additional fiscal incentive. 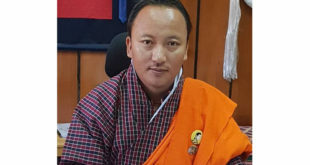 The release says that as the former Prime Minister was absent during 156th Session of the Lhengye Zhungtsog, Lyonpo Yeshey Zimba chaired the Session at which the additional fiscal incentive was approved. “Hence, Yeshey Zimba had not only failed willfully to ‘Declare Conflict of Interest’ as required by law but had even chaired the very 156th Lhengye Zhungtsog which allowed him to exercise edge over other members in leading towards the approval of additional fiscal incentives,” says the release. 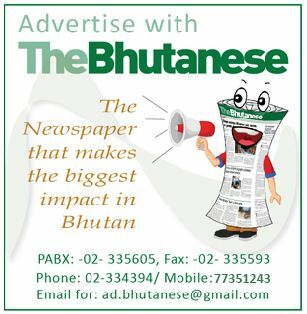 “The declaration of the “additional fiscal incentive” was not only timed to bypass reporting requirement to Parliament but was also well synchronized to gain optimum benefit by M/s Bhutan Hotel Ltd. (Le Meridien) as its tenure from April 2013 to December 2015 was seemingly designed for the benefit of hotels readying to acquire those tax exempted items,” added the release. It said that besides offering optimal benefit to M/s Bhutan Hotel Ltd. (Le Meridien), the additional fiscal incentive was neither targeted to attract more investments in the area of domestic or FDI hotel constructions, nor did it offer benefit to the hotels that were at the verge of commissioning their operations. “The official records demonstrate that M/s Bhutan Hotel Ltd. (Le Meridien) alone had benefited by Nu.76,88 mn from the additional incentives. Hence, out of 92 hotels, M/s Bhutan Hotel Ltd. (Le Meridien) alone had benefitted by 41.20% of the total tax exemption amount. The sequence of events thus compels this Government to view Lyonpo Yeshey Zimba as having acted on vested interest,” said the release. “Therefore, Lyonpo Yeshey Zimba, being one of the Cabinet Ministers, had willfully failed to declare “conflict of interest” as required by law and has apparently committed “official misconduct” in leading the decision making process that has hugely benefited his family member,” added the release. It says that besides being a serious policy corruption to use official powers to favour his own family member, Lyonpo Yeshey Zimba’s conducts clearly tantamount to commission of outright corruption if he is also found to have personal ownership interest in the above hotel venture. “Hence, if those allegations were adjudicated to have been committed by Lyonpo Yeshey Zimba, the ill-gotten gains too must rightfully be restituted to the state as per law,” says the release. The Government said that it is of the view that if such law breaching conducts of a nation’s Cabinet Member is knowingly not brought to the notice of the Anti-Corruption Commission (ACC) for necessary due process of law, it would not only tantamount to being disservice to the nation but could also encourage other public officials to conduct such corrupt practices in future. However, it says the merit of the case is subject to due determination by constitutionally independent ACC and other line agencies of the state based on credible evidence alone. It says if the rule of law is to form the substratum of democratic sustenance, timely justice must be sought for the future deterrence of corrupt public servants and to dutifully protect those law abiding citizens.